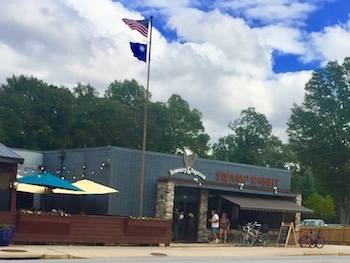 Situated at the foot of the Blue Ridge Mountains, Travelers Rest is a small community that welcomes hundreds of thousands of visitors each year, passing through on the Swamp Rabbit Trail, which has encouraged economic development since the early 2000's. There is also a library, a health care facility that includes an emergency room, and a public golf course that boasts beautiful views. Zillow reports the median home value in Travelers Rest was $170,200 in late 2017. There are communities in Travelers Rest, see link at right. 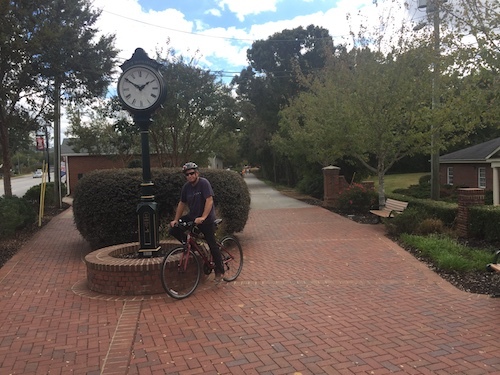 Situated at the foot of the Blue Ridge Mountains, Travelers Rest is a small community that welcomes hundreds of thousands of visitors each year, and the Swamp Rabbit Trail has encouraged economic development since the early 2000's. The town also boasts a library, a health care facility that includes an emergency room, and a public golf course that features beautiful views. Winters are cool, with the average January temperature in the low 40's; If you don't enjoy the outdoors and hiking, and biking, you won't find much to do here. January's average temperature is 44 degrees with July's average at 75. Travelers Rest gets about 50 inches of rain and 6 inches of snow annually. Travelers Rest features cafes, breweries, ice cream, pizza shops and several restaurants. Trailblazer Park is the regions newest performing arts and cultural center featuring panoramic mountain views, festival grounds, an open-air amphitheater, and a covered pavilion that hosts the Travelers Rest Farmers Market. For various cultural venues, Greenville is just 10 miles south. The crime rate is a little below the national average. Greenville Health System has a large hospital in Greenville, but also staffs an emergency room and an outpatient care facility in Travelers Rest. The nearest airport is in Greenville, about 17 miles away.